This is a gemstone that can soothe mood swings and anger pangs. It calms down anxiety and is associated with the heart chakra. It expels a friendly energy. It is said to bring abundance and prosperity into the life of the wearer. Young women looking for cheeky jewelry designs can go for jewelry made in this gemstone. 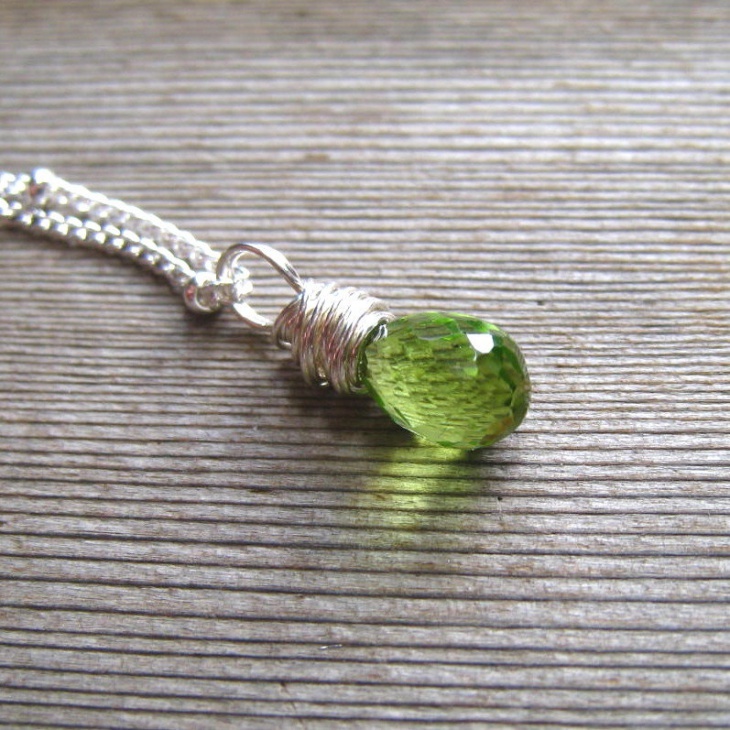 The light green shade of this stone empowers feelings of compassion and forgiveness. This is considered a good luck stone. 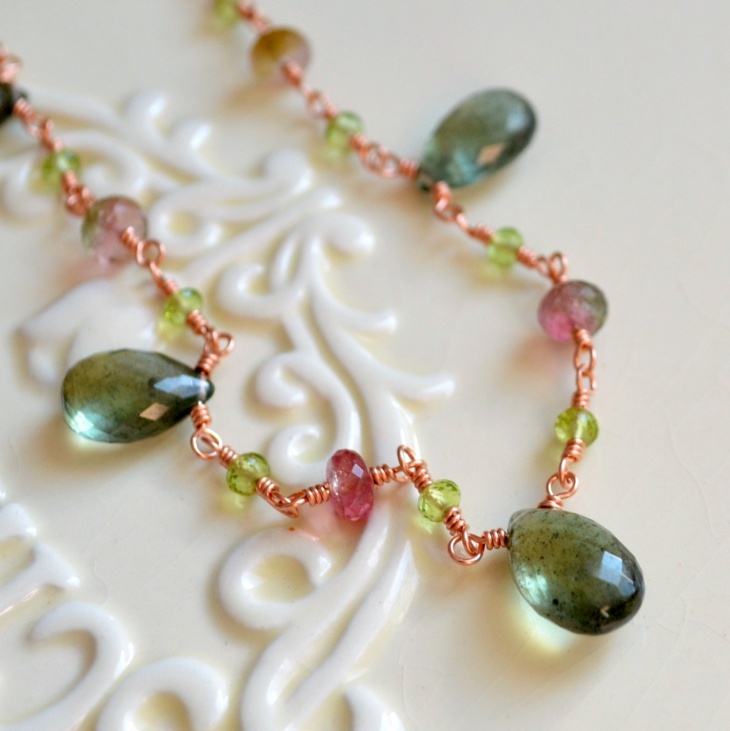 This unique jewlery design made in gold has peridot, peal, and pink tourmaline set in a beautifully carved necklace. Suitable for woman of all age groups, this designs has artistic curves and design elements where elegance stands out. 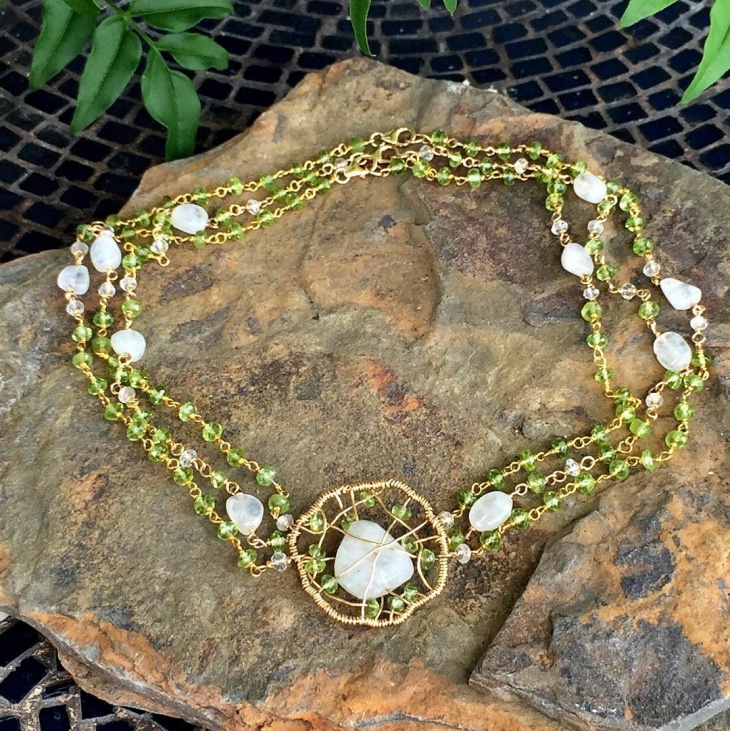 This is a three tier necklace design with peridots and moonstones set in this unique wire jewelry design. The pendant is circular in shape and has handmade wire designs. It is suitable for young woman. It can be worn for casual occasions. 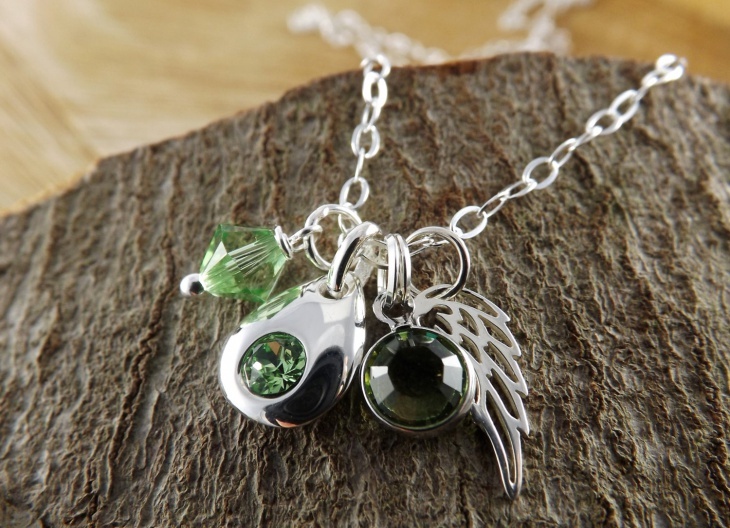 This necklace in silver chain has pendants of peridot set in the design of angel wings. This is a charms jewelry design for women who love folklore. These pendants are chunky and are suitable for bold women. 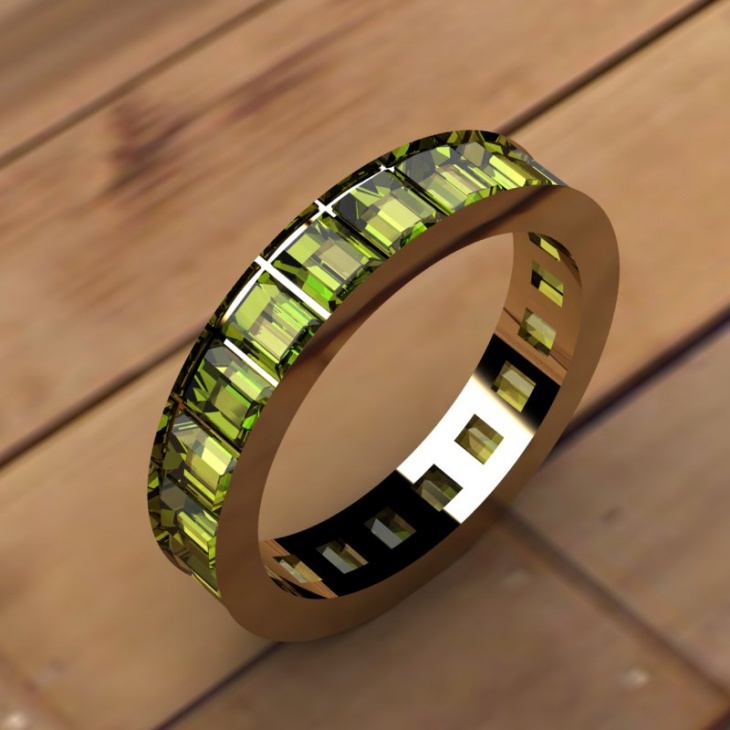 This is a bracelet made with peridot beads. The beads are round in shape and have a metallic closure. 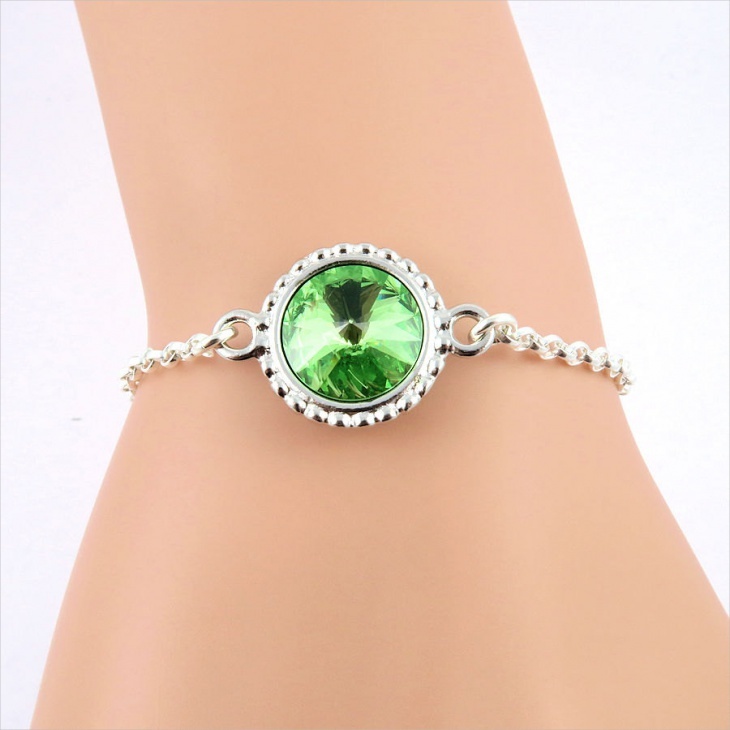 Young girls who want to style their clothes in bohemian chic can wear this bracelet with such clothes. Maxis and summer dresses look good with this bracelet. 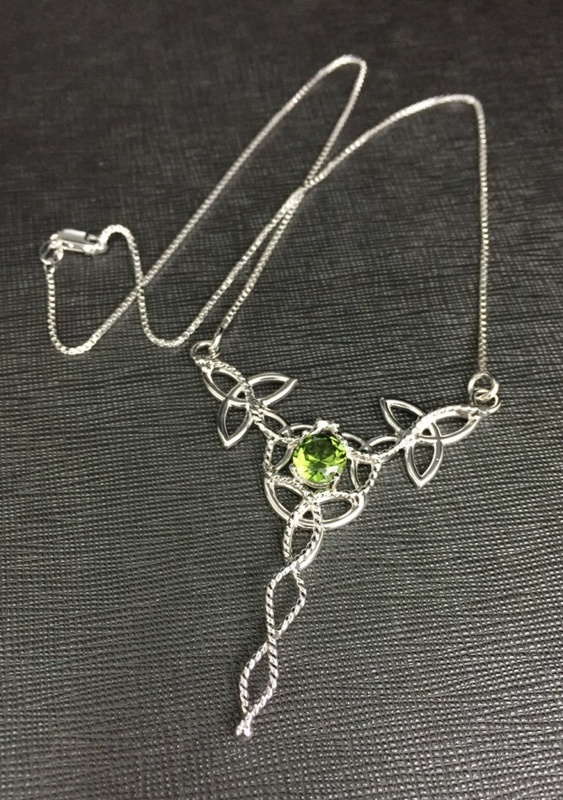 This handmade item has celtic motifs for the centre piece in the necklace. 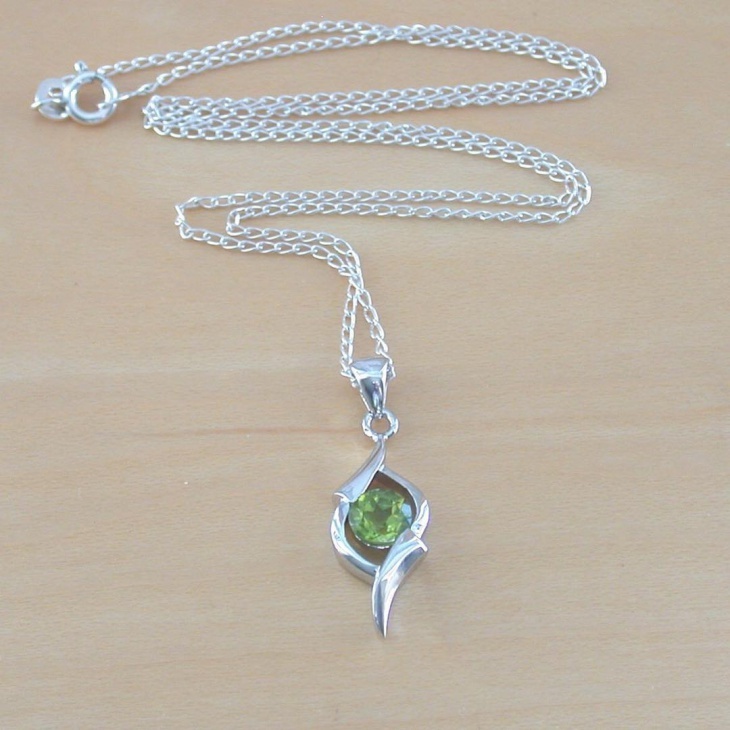 Made in sterling silver, peridot stone is studded in the center of the pendant design. 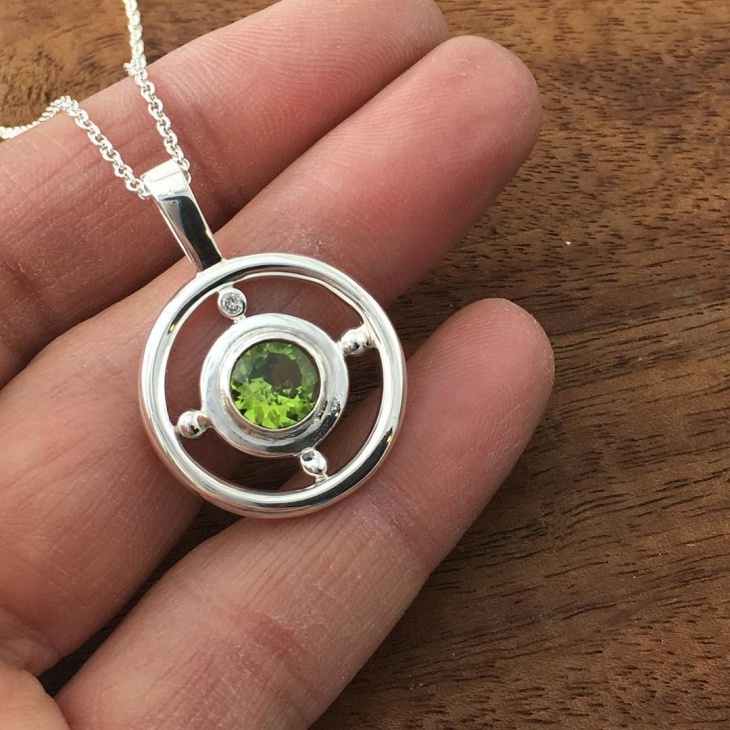 The pendant is large in shape. 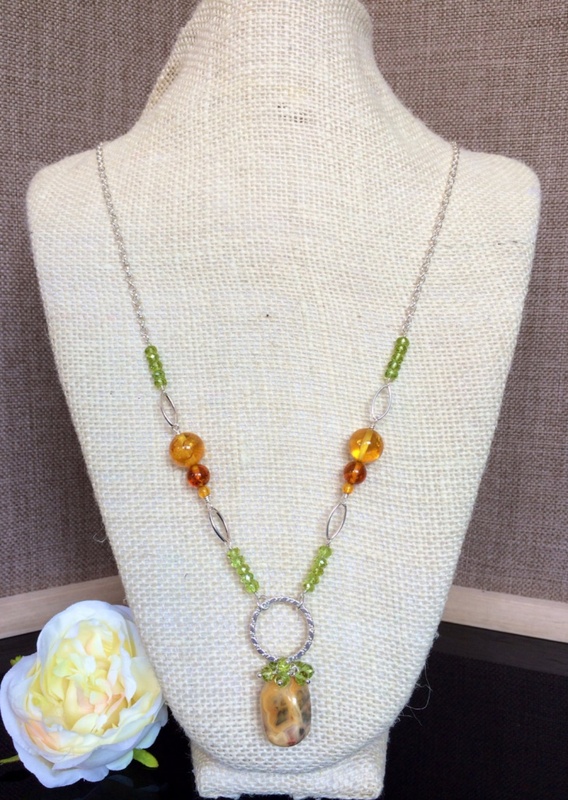 Women who wear longer V-necklines can wear this necklace. 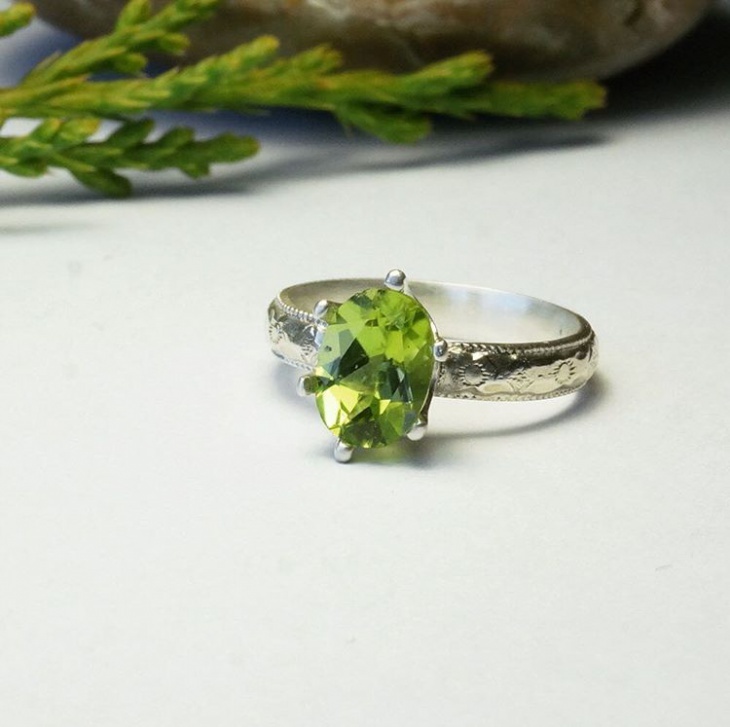 This is a beautiful finger ring made in silver with the peridot stone set in. This faceted gemstone is set in an oval shape. It suits older women. The ring is embossed with floral designs. Women who love to flaunt their long nails can wear a single piece of this ring. 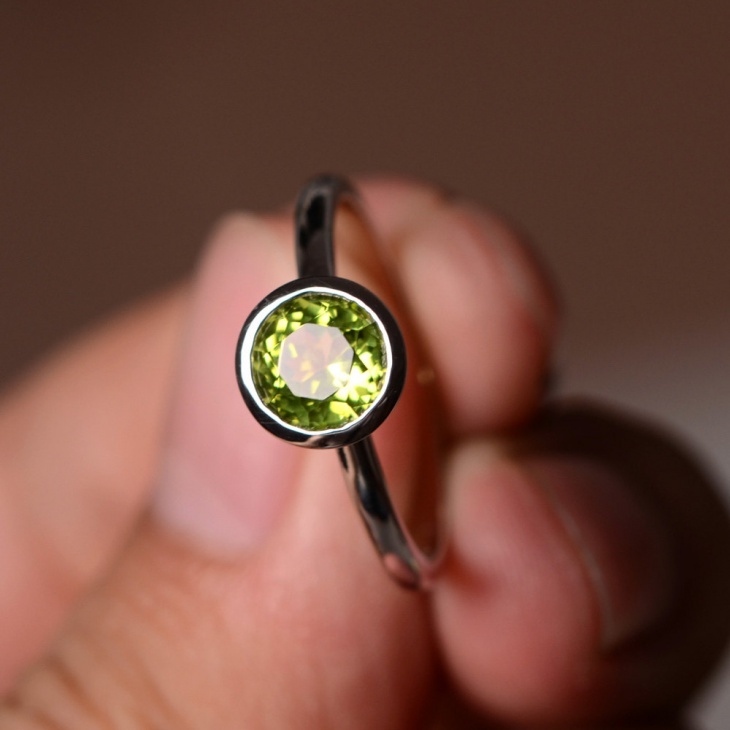 This is a simple finger ring with a peridot stone set in round shape. 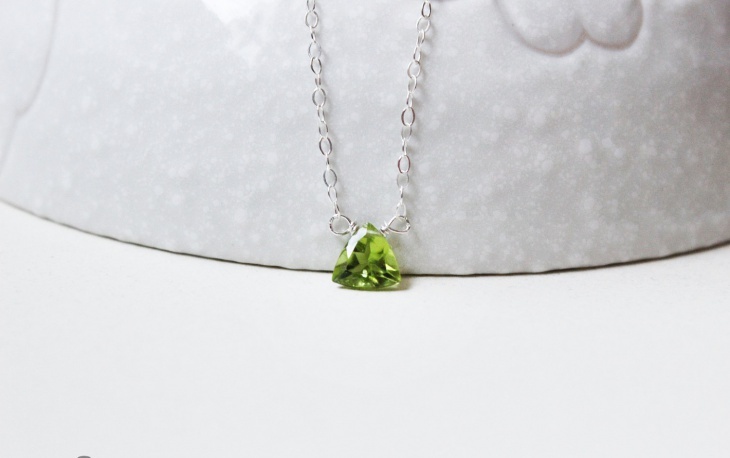 Peridot is said to be the birthstone of August. Women born in this month can wear this stone. There is no intricate style to this stone. 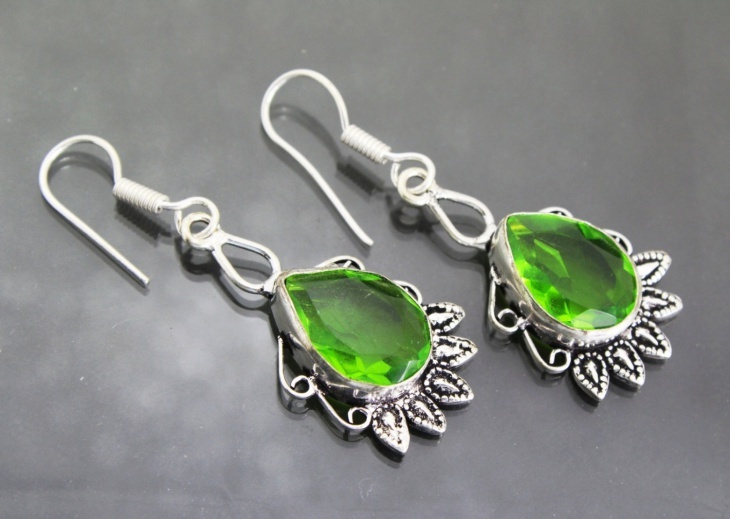 Danglers made in sterling silver have an oval shaped peridot stone set in. The design has the shape of petals on the bottom of this stone. It is suitable for women who love wearing ethnic design in clothes. Do not wear them on western clothes. Embellished garments go well with these earrings. Women of any age can wear them. 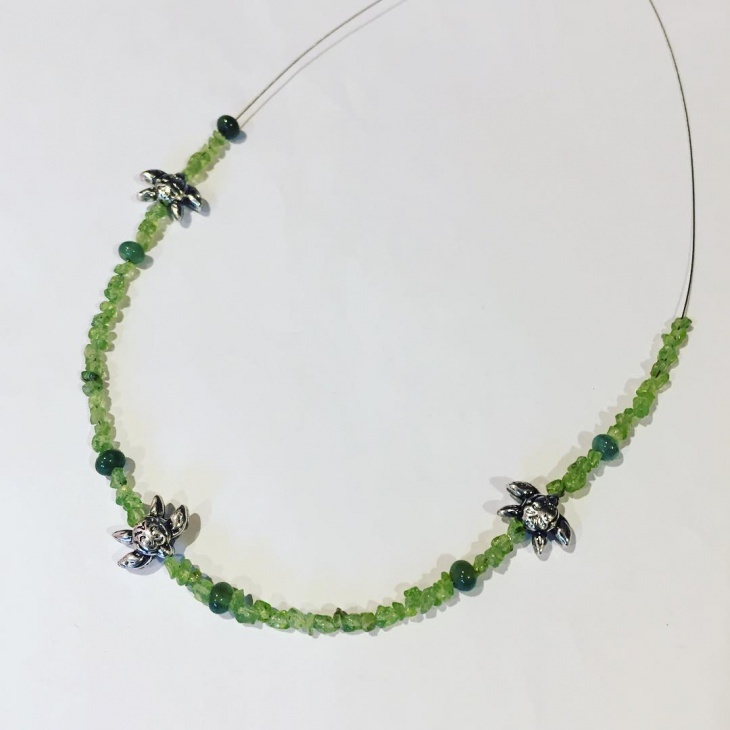 This is a beautiful wired necklace made in peridot, tourmaline, and aquamarine stones. Suitable for young girls, they can be worn for wedding, and any formal and informal ceremonies. Older women should not try wearing this wired piece as it would simply look over the top. 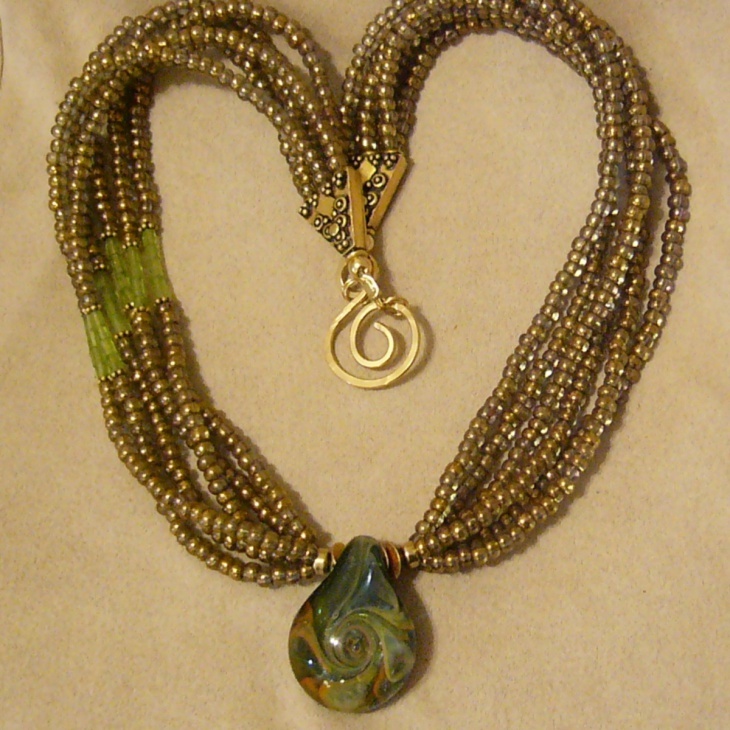 Beaded stones, set in jewelry, and precious stone jewelry, all look good on any woman. 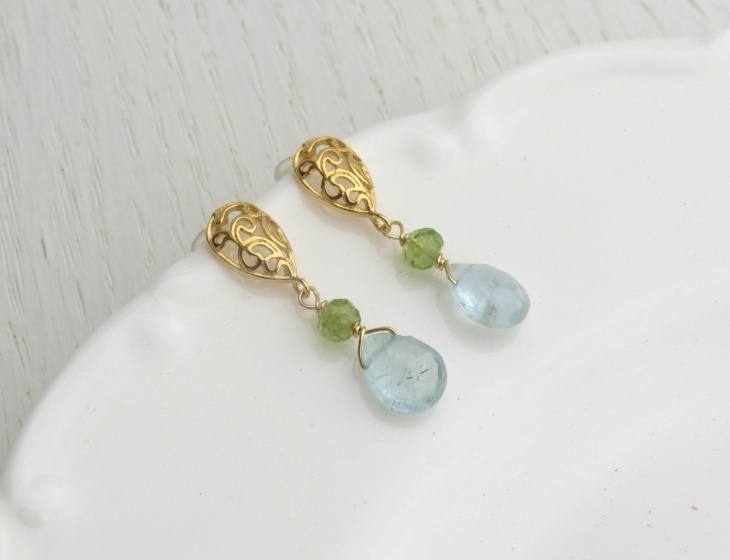 Jewelry must always be matched well with the fabric and color of the garments. A wrong combination can look like a total faux paus. The witchy jewelry designs having celtic motifs and esoteric symbols bring an element of mysticism in women who wear them. 10 Plaid Shirts for this Winter!